Both anxiety and depression are serious mental disorders that can affect an individual’s quality of life. In a number of cases the two may accompany each other. However, in some cases depression and anxiety may go unrecognized. A number of commonly associated factors, such as drug use, can sometimes complicate diagnosis. If you or someone you know may be suffering with these disorders consider asking for help. Tension or dread that continues despite the absence of apparent danger is called anxiety. Generally the motivator is an unconscious factor and that often makes it more difficult for the individual to control the feelings themselves. In some cases the anxiety may be very specific.Â Individuals may also have anxiety when they are exposed to a particular situation. Other individuals may experience more general anxiety. These general anxieties can reduce the quality of life significantly. In some cases people with general anxiety may experience more elevated levels of anxiety when exposed to a particular situation. There are some common symptoms and conditions that are associated with anxiety. In the most general sense you might expect that the symptoms of anxiety will increase in intensity and/or frequency based on exposure to the conditions that prompt the anxiety. In cases of general anxiety some level of these symptoms may be ever present, or the symptoms may be more easily triggered than in others. One of the symptoms is increased cardiac activity. Increase in breathing may also accompany anxiety. Many of the common fear reactions may be present as well including perspiration, muscular tension, dryness of the mouth, and diarrhea. In serious cases panic attacks may occur. These can result in heart palpitations and fainting. Feeling of loss and / or sadness without cause or relief is termed depression. It tends to be a long-term condition, but in some cases an individual may swing quickly from a major depression to a manic state. These feelings of sadness and loss seem to have no logical, external cause. There are evience that suggests some cases may be related to a deficiency of specific neurotransmitters. Depression can result in decreased productivity and health. In many cases, individuals seek help in an attempt to reclaim their lives. Among the common warning signs of depression include but are not limited to reduced activity. A general reduction in one’s enthusiasm, Reduction in appetite and increase in sleep. Conversely eating in excess or eating unhealthy foods and insomnia or generally disrupted sleep patterns can also result. 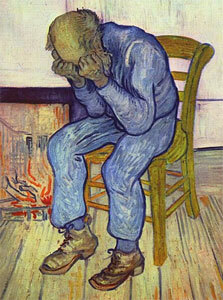 Some cases of depression may begin with an event that would rationally cause sadness (such as a death). Unfortunately in some cases the individual may never return to their previous consistent demeanor. These may develop into a clinical depression as well. Both of these are long-term mental disorders that at some point do not have a rational external cause. The result is that the individual may need help in achieving the level of existence that they want. lanceraa. "Difference Between Anxiety and Depression." DifferenceBetween.net. September 2, 2009 < http://www.differencebetween.net/science/health/difference-between-anxiety-and-depression/ >. Nicely done. keep up the good work !!! You did provide some very useful information however, anxiety and depression in all cases are NOT mental disorders. If they can be eliminated, this is a sign that they were not mental disorders. If they can only be managed, then that is a sign of underlying mental disorder.